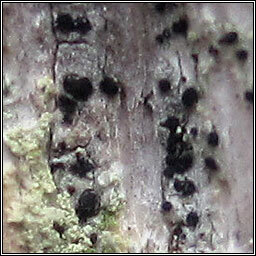 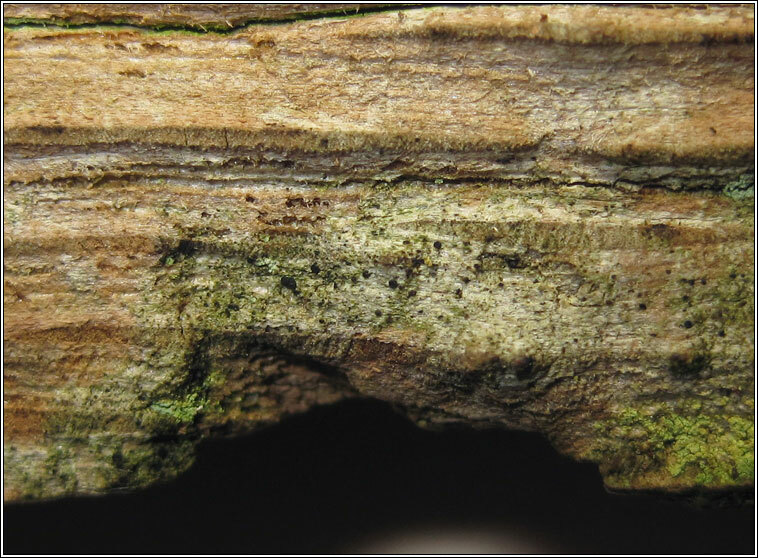 Found on wood and acid-barked trees, particularly conifers and Oak. 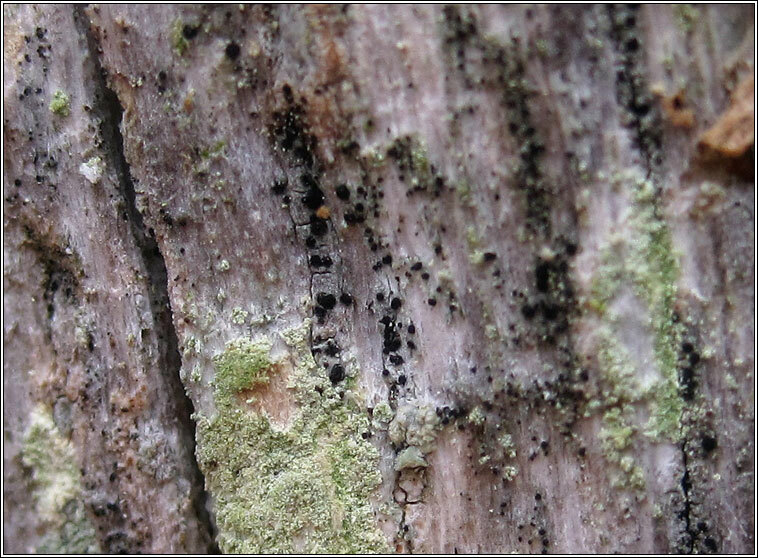 Thin, greyish thallus with small apothecia, 0.2-0.3(-0.5)mm. 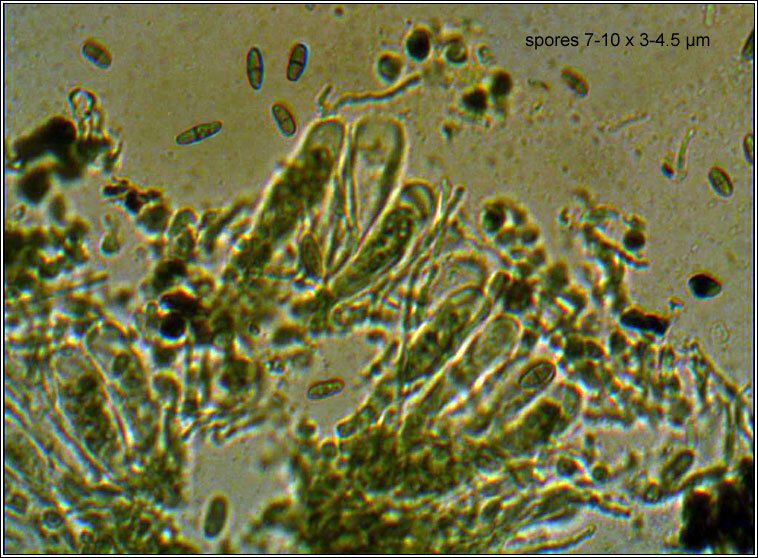 Spores are brown, 1-septate, smooth-walled, 6-10(-12) x 2.5-4(-4.5) µm. 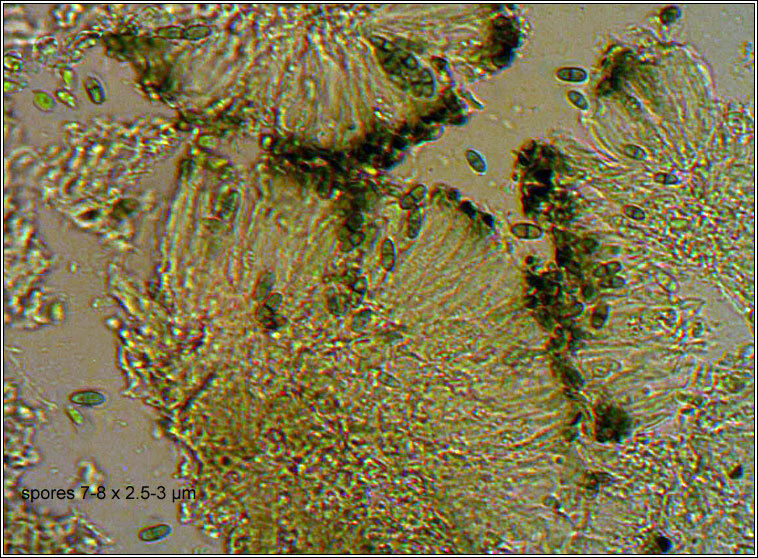 Pycnidia can be numerous, conidia 2-3 x 1-1.4 µm.